Is the STEM curriculum tied to professional learning standards? All skills are aligned to professional learning standards as outlined in our current course curriculum maps. The sequence has been changed to facilitate more integration between the disciplines. What does “integrated curriculum” mean? The written skills from our course curriculum maps have been aligned so that skills introduced in either Math, Science or Computer Science will relate to and support the skills taught in the other two disciplines. Skills will be taught via inquiry based learning and shared experiences. What does “inquiry-based learning” mean? What are its benefits? To put it simply, inquiry-based learning is as an open-ended approach to learning guided by students through questions, research, and/or curiosity. Here’s an article from Forbes.com about the benefits of student engagement and active learning. Well worth a few minutes of reading! Can you give an example of a planned “integrated” STEM unit? How is it different from how we teach now? The opening unit of the program in STEM Year 1 will be an integrated approach to collecting and graphing data (Math) and using mathematical models to predict and explain the behavior of particles (Science). The unit will be supported by Computer Science with the introduction of block-based programming. How is this STEM Academy different from programs at other schools? We have been working on the STEM program for two full years. During our research, we found that most other schools develop some new courses, and group them with existing courses to create a STEM program of study. 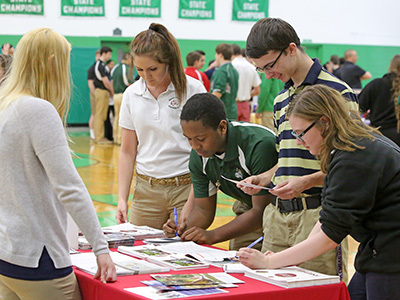 At PCHS, the content in the STEM fields will be integrated – this will give the students greater context, meaning and purpose to what they are learning. It’s not just a group of the same traditional courses – it’s brand new course in a student-centered, active classroom setting. What will a typical day in STEM be like? Students will be in the STEM lab for 3 consecutive class periods. During the 3 periods, students will be working in groups to solve problems, perform experiments, design solutions to real-life situations. They may also give presentations about their findings. There will be some direct instruction when necessary. The problems and situations given will incorporate skills from all 3 disciplines, thus making them and the content more meaningful. Are there times when instruction cannot be integrated? What happens then? There are many periods during each year in which the content will be integrated and units/skills from all three disciplines will be taught as one shared experience. There will also be time set aside for students to break out and learn content in each subject area that is needed prior to the next unit. This does not necessarily mean students would be in Math, Science and Compute Science for 1 period each everyday between integrated units; we will be using a dynamic schedule, which will fluctuate based on content and need. How many students will be invited to the STEM Academy? For the 2019-20 school year, we will accept 25-30 students to participate as Sophomores. 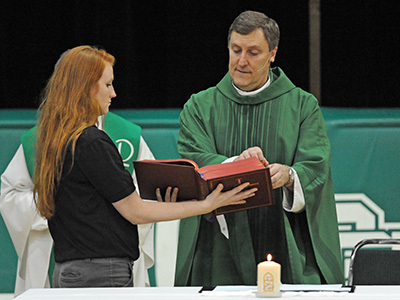 Each subsequent year we will accept an additional 25-30 students to begin the program as Sophomores. How will students be selected for STEM? Step 1: Student can complete an online application to enter their own name for consideration. Science, Math & Computer Science teachers will also recommend students. Step 2: All applicants will participate in two workshops. They will work in groups and individually on selected projects/problems. STEM committee teachers will observe students in this “STEM setting”. Step 3: The STEM committee members will use all the data from the applications and activities, as well as information from teachers and counselors to determine the final list of students who will be invited to the STEM Academy. What attributes or learning styles should a student have to be successful in STEM? Students should possess many of these qualities: inquisitive, persistent, independent, collaborative, flexible, hands-on learner, organized, good planner/time manager, formal operational thinker, self-motivated. What if a student is not sure he/she wants to apply for the STEM Academy? We strongly suggest that you do apply and attend the two workshops! It will give you a good idea of what STEM will be like, so you can make your decision after that. Remember, applying does not mean you have to enroll in STEM. It just means that you can. Why are we starting the program at the 10th grade? 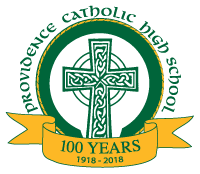 We wanted students to acclimate to high school and the general Providence Catholic Community. It also gives us the opportunity and time to evaluate students as freshman, identifying students’ strengths and aptitudes. Can a student enroll in the STEM Academy after grade 10? It would be very difficult for a student to enroll in the second year of STEM. Requests will be evaluated on a case by case basis. What if a student decides to withdraw from STEM? Can a student still meet all graduation requirements? Although we don’t anticipate students wanting to leave the program, it will be possible to do so and meet all graduation requirements. We will work with students to determine the best plan and schedule for them, dependent on when they withdraw from STEM. Will students be able to meet all their graduation requirements? Absolutely. Students will still have room in their schedules for the required English, Theology, Social Science, World Language, a small number of electives. The STEM classes, of course, replace the traditional classes and meet the requirements for Science and Math. How many class periods will STEM use in a day? STEM will be scheduled for 3 consecutive class periods, most likely periods 5,6, and 7. Can you provide a sample schedule? In the image below, you will see typical courses that a student takes. 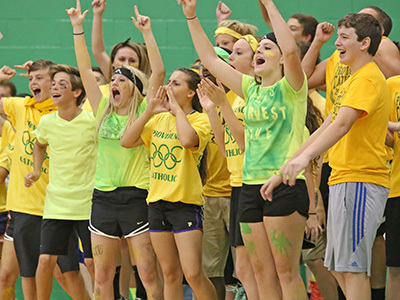 There is room for a few elective classes in Junior and Senior year. We are exploring the possibility of zero hour or approval to take courses in summer school, but nothing has been decided as of this posting. How will students be graded? Ideally, we will use a skill-based grading system which measures students’ proficiency on well-defined course objectives. Students will be graded in each enrolled class separately. Are the STEM classes honors level? No. The classes are currently not honors level and as such will not provide weighted credit. Will students be able to take honors level or AP classes? Outside of the STEM classes, students’ schedules will vary and be unique to each student. They can definitely enroll in honors classes in other academic departments as long as they meet the course prerequisites. It would be difficult to co-enroll in AP Science, but that does not preclude them from sitting for the AP exam. We are exploring the possibility of zero hour or summer classes for STEM students wanting more electives. What if a student is planning on taking multiple AP and honors courses in many subjects? Most likely, the STEM program is not for that student. There is simply not enough room in the student’s schedule to accommodate those classes. Additionally, this student most likely wants to take weighted courses and the STEM classes are currently not weighted. How will STEM impact student scores on standardized tests? STEM students will be well prepared for testing. We have taken care to make sure that they will learn the skills tested on the ACT test before spring Junior year. How will STEM classes look on a student transcript? Will colleges accept these classes? What about the Computer Science content? STEM students will receive credit for computer science courses such as Exploring Computer Science and Computer Programming. In addition, computer science topics such as algorithm development, problem-solving, data analysis, abstraction, modeling, and robotics will be integrated throughout the curriculum. Are there any other topics that will be included? Statistics, Trigonometry and Environmental Science are among the additional topics that will be woven into the content where appropriate. Will the students in STEM need a different laptop? No. If the student’s laptop meets our BYOD minimum specifications, it will be fine for STEM. If there is additional (or expensive) software needed, we will have school-owned laptops available for that purpose. Are there any class fees associated with STEM? Although this is not finalized, we anticipate the same fee that is assessed for any of our lab science classes. Who is on the STEM committee? Mike Stenoish & Sean Richards (Science Dept), Jamie Walker & Angie Pascente (Math Dept. ), Rosanne Grigoletti & Dave Devine (Computer Science & Applications Dept), Marissa Welch (Learning Commons), Dr. John Harper (Principal). Feel free to contact any of them if you have any questions.